Catrin first got involved with the Confluence project when the pilot stage application was being made to the Arts Council, and she led on budgeting, financial claiming and reporting. Her involvement has expanded during the second stage, both as a member of the steering group that oversees running and management of the three-year project, and as a participant in the public events that the project has delivered. 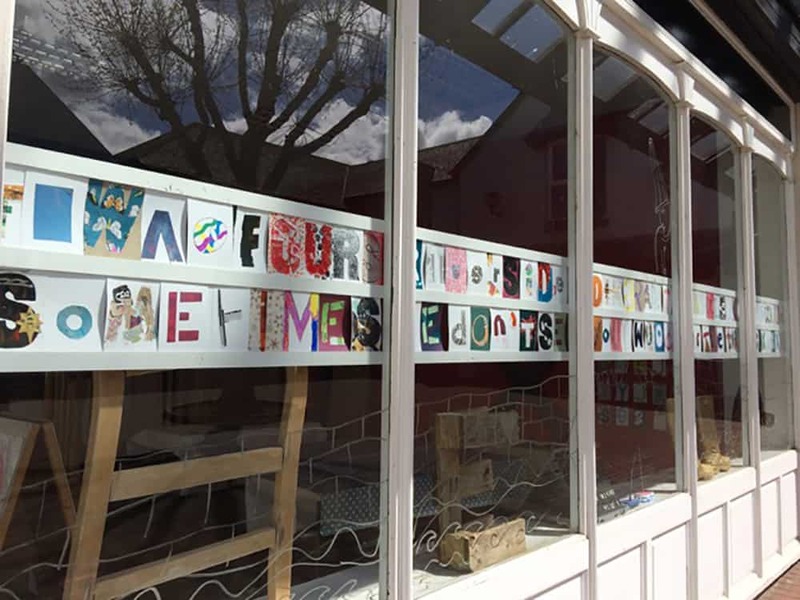 From Catrin’s point of view, the most significant change that has resulted from the project so far is the degree of acceptance shown by some of PLANED’s board members to being part of a project with an explicit focus on art as a regeneration tool. She has noticed that some board members who were initially cynical about the project have come to an acceptance that “maybe there is a role for art as part of the ‘regeneration mix’”. On a more personal level, Catrin has found that some of the project’s activities have “really opened my eyes to a realm I am not that familiar with”. Although she considers herself a creative person, the Platform event, for example ‘pushed her boundaries’ in terms of what she thought of as artistic. She was struck by how the visuals and music in the series of short films made her feel, without consciously understanding the message of the films. After watching the Platform films several times, she felt that her response to that particular medium has changed and she is now “more open to it”. Thinking in terms of the most significant change for Haverfordwest, Catrin has noticed that there seem to be more people doing creative things, wanting things to happen and being prepared to “get out there and do something about it”. This includes the Business Circle’s ‘yarn bombing’ activities, the Town Council’s Haverfordwest Festival and also the Food Festival, which are fairly recent activities that have started since the Confluence project began. Although Catrin doesn’t know how much they can be directly attributed to Confluence, she thinks that sometimes people see somebody doing something that can “give them the spur to start their own activity”. Thinking further about how the Confluence project has contributed to that change, Catrin has seen how activities such as the ‘River of Light’ have definitely engaged lots of townspeople in a “stunning” local event with a “positive vibe”. And some of the smaller scale events, such as seminars, “have brought down speakers from away, who may have challenged people from the town and local authority to open their eyes to other approaches”. Catrin has also found some useful learning from the nature of the particular mix of organisations that forms the Confluence project partnership, in particular how they have worked together to overcome some of the external scepticism they faced in the early days. A significant lesson for Catrin has been the importance of external communications, raising awareness and getting the message across about what the project is trying to achieve, throughout the project timeline, in a planned and structured way. This has enabled her to reflect on PLANED’s own marketing and communications activities that have often focused on discrete events, rather than the bigger picture, and take this learning from the project partnership back into her organisation.